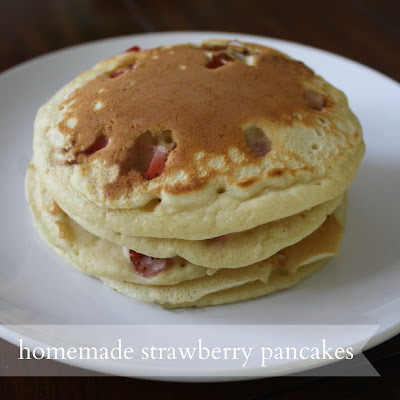 A few weeks ago, I joked on instagram that my spiritual gift was making awesome homemade strawberry pancakes. The great thing about pancakes is that they're simple. 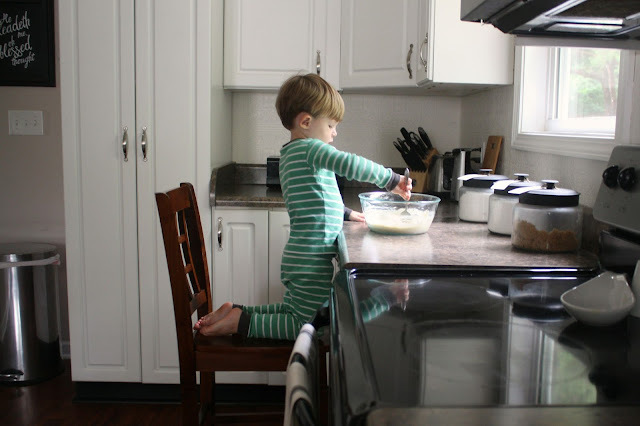 Jake loves to pull a chair up to the counter and help us stir the batter or toss in the fresh fruit. *makes about 8-10 medium pancakes. 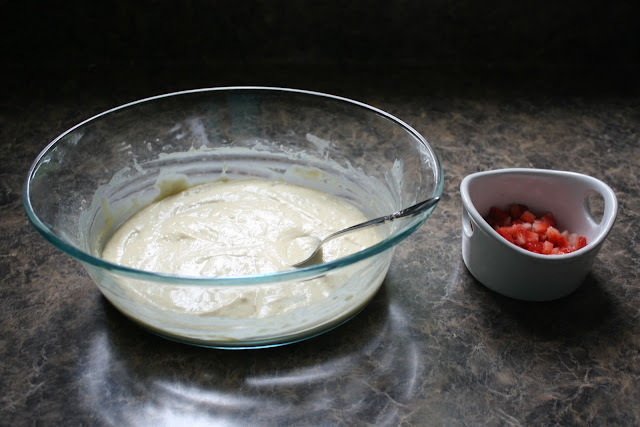 You know the drill with pancakes... Toss all the ingredients into a bowl and mix up the batter. I melt a little butter over medium heat in a skillet. It could totally be a personal thing, but I like to add my fruit pieces into the pancakes after I pour the batter into the pan to cook. 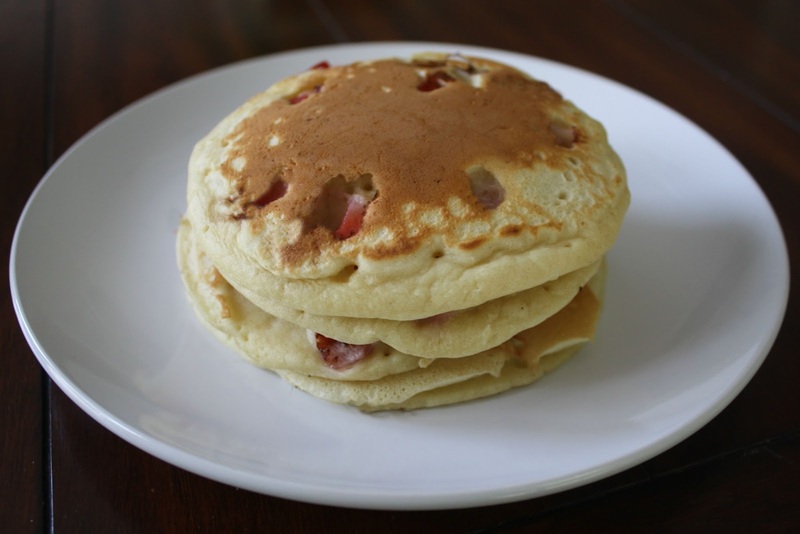 I love this recipe because it makes the most perfect, fluffy pancakes. What more is there to life, really? Done cooking? Time to devour!